Interior renovation to convert a delicensed nursing unit into the new Outpatient Clinic to support the Heart and Vascular Institute. Project includes 9 Exam Rooms, Stress Test Facility, Blood Draw, ADA Restrooms, and Doctors’ Offices. The existing structure was built in 1958 and required an extensive amount of design-build details for seismic and deck attachments. 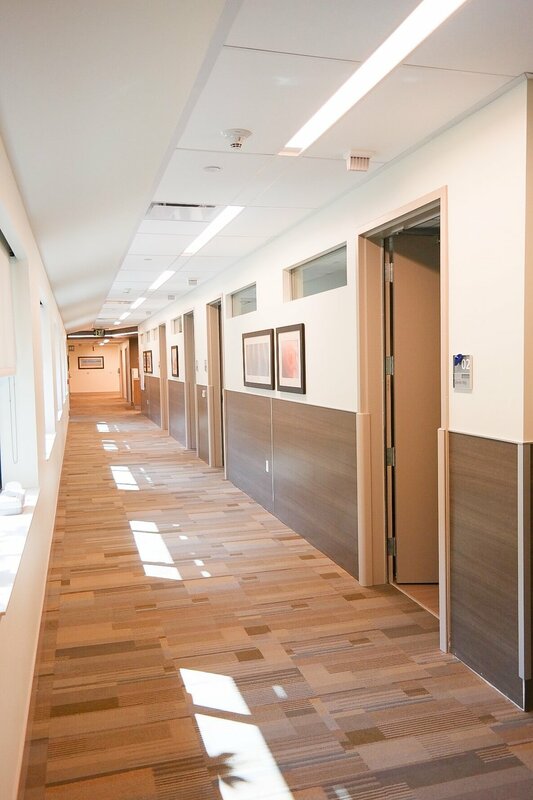 Our team helped develop a unique approach to maintaining office foot traffic while disruptive re-work was required within a main corridor pathway.